Habitat land cover map: shows where the different types of wildlife habitat are located throughout the state. 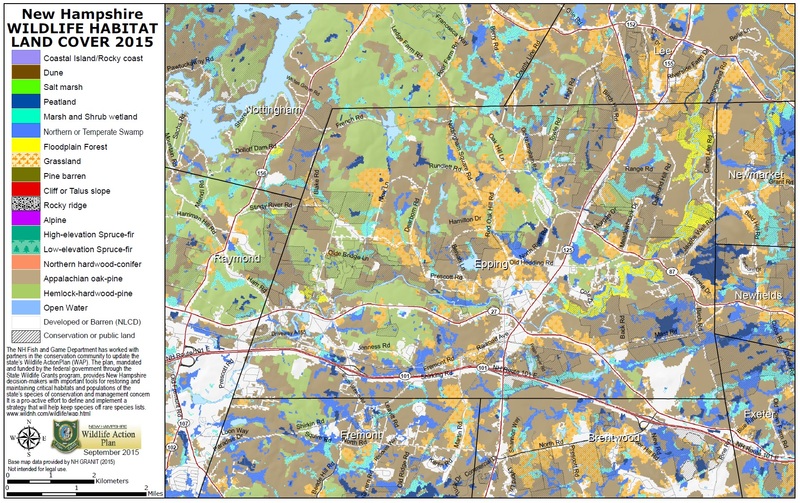 Highest Ranked Wildlife Habitat map: shows where habitat exists in the best ecological condition -- based on biodiversity, arrangement of habitat types on the landscape, and lack of human impacts. 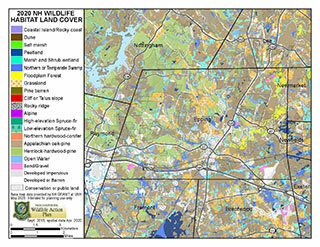 What is a wildlife habitat land cover map? It is a map depicting what kinds of habitats are where on the landscape. In NH we have identified 27 different habitat types, and are able to map most of them through a process that looks at available information such as known plant communities, geology, soils, hydrology and other features that affect the occurrence of habitat locations. We used a dataset that has been developed for the entire northeast US and Canada by the Nature Conservancy (funded by the northeast states and the US Fish and Wildlife Service). We grouped their more complex data into fewer habitat types to make it more understandable to the majority of users. However, it is cross-walked back to the more complex dataset so it is usable across state lines. We also had some data, particularly on pine barrens, small wetlands and coastal habitats that was more accurate than the regional dataset, so we used that data instead. All the data is included in one seamless dataset, except the surface waters, which is separate. This is a change from the previous GIS data where all the habitats were in separate datasets. There are some habitats that couldn’t be mapped using these methods; these include shrublands - because they are often created through tree cutting and thus change over time, and vernal pools - because their formation is so unpredictable. These habitats are provided both as town-scale maps and as GIS data via the GRANIT website. We also have an Excel table that shows the extent of each habitat type and habitat condition by town and ecoregion. GRANITViewII, an online mapping service, has the data available for you to view and include with other datasets. The maps you create can be printed from your computer. What can I do with these maps? You can see what habitats are in your geographic area, and how they are interconnected. If you are looking to protect habitats, look for large areas of intact habitat where there are perhaps several types of habitats in a mosaic. Or you might be interested in just one or a small set of habitat types, and can look for those. You can see how patches of habitat follow natural settings, and not political ones, so always check the areas outside your particular area of interest to see how the habitats on the edge play into the larger picture. For more details on incorporating maps into town and regional planning go to the Taking Action for Wildlife program. For landowners, you can see what habitats are on your land and use that information in land management planning, but don’t forget to go outside and look to see if the information is correct. This was mapped at a scale of accuracy of about a quarter acre, so verifying what is on the ground is important. For more details on habitat management for wildlife go to the Taking Action for Wildlife program. Biologists will use this information to target the best places to look for species of conservation need. 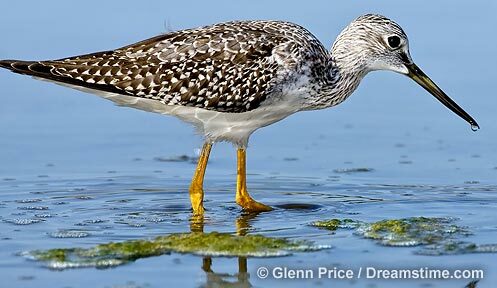 Planning for land protection, habitat management and other conservation measures can be targeted for these species. How do I know if the habitats I am looking at are in good condition for wildlife? 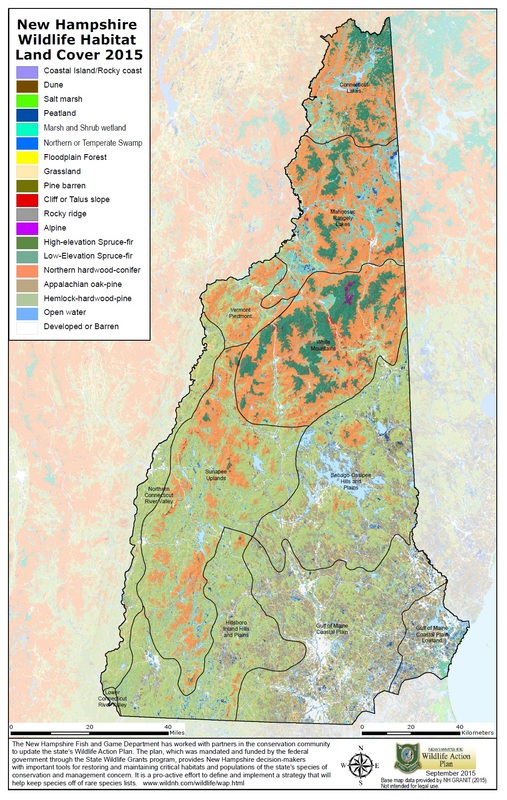 Much of New Hampshire has good habitat, but some is clearly more intact and less fragmented than others. We have developed an analysis of habitat condition and created maps and data on this. Visit the Highest Ranked Wildlife Habitat in New Hampshire by Ecological Condition page.